Can social media make you famous? Can social media change your financial status? Can social media be the boost your company has been waiting for? The answer to all these questions is an emphatic yes. There have been dozens of success stories presented to us that completely testify to the fact that this is indeed very possible. Let us take a brief look at some insta-success stories. Ahmed Zaghal was an unknown blind photographer living in Britain. His profession was hosting a radio show at a local station. Little was known about him until he posted pictures of a concert he attended on Instagram. Zaghal went from being literally unknown to becoming a household name. Due to his unique abilities at a visual field all the while being blind, people were intrigued by his story. Everyone wants to hire him now to take pictures of them, be it a corporate event or just a personal photoshoot session. This story in not limited to Zaghal as many more photographers have been discovered in this way. Nike was a big house hold name even before the creation of Instagram, however the sales and marketing department of this company has on many occasions admitted that Instagram has had a significant impact on its sales structure and popularity of its brand. Nike has one of the most successful Instagram accounts and boosts the highest number of Instagram likes on a post ever achieved by a corporate brand. Nike has also acquired over eight million followers; this translates to over eight million potential buyers as a loyal audience every day. Kendall Jenner was known as the little sister to famous reality star Kim Kardashian. Apart from the spaced out cameo appearances she made on the popular reality show, little was known about her. She has recently emerged as the highest paid Instagram marketer and model in the United States of America. It is estimated that she earns between one hundred and twenty five to three hundred dollars per Instagram post. She has over forty four million Instagram followers and the number is steadily growing through her new found influence on the younger generation. Starbucks must have one of the most brilliant social media strategic teams in the world. Why do I say this? Its marketing campaign has taken off and has been one of the most successful campaigns to run on Instagram, managing to acquire for them an additional three million followers in only one week. This has in turn translated to millions in sales of their already popular coffee. Starbucks capitalized on the desire for Instagram users to get more attention and likes on their personal pictures. By using the hashtag *Starbucks* one would qualify to get their picture randomly picked and regramed or reposted by the company. It was an instant insta-success. 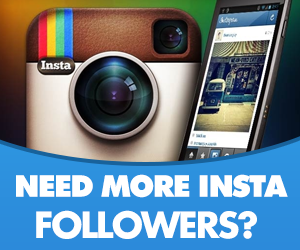 Instagram has changed the way we use social media for marketing and for earning recognition. It takes creativity and uniqueness to achieve Instagram success. Some may argue that it is just a wonderful stroke of luck. Either way, you can turn followers to dollars if you put your mind to it and achieve success from the comfort of your mobile app.